Wasyl Kucheriawy, one of the few remaining veterans of the Galicia Division of the Ukrainian National Army, peacefully passed away on November 12, 2018 at the age of 95. Wasyl was born on May 14, 1923 in Ukraine to Hnat and Irena (Hyteniuk). Upon the outbreak of WWII, Wasyl volunteered and fought with the 1st Division Ukrainian National Army against his country’s oppressors for the defense and independence of his homeland. When the division surrendered after the Battle of Brody, Wasyl was held as a prisoner of war in Rimini, Italy for 2 years. In 1947 Wasyl was transferred to England. After five years in England, Wasyl was able to immigrate to America in 1952 and became a U.S. citizen. Settling in Newark, New Jersey, Wasyl was employed by Western Electric in Kearny as a chef and baker. Proud of his Ukrainian heritage, Wasyl was active with the Ukrainian American Youth Association (CYM), and a parishioner and choir member of St. John’s Ukrainian Catholic Church in Newark, New Jersey. After 33 years of employment, Wasyl retired and moved to Kerhonkson, New York. 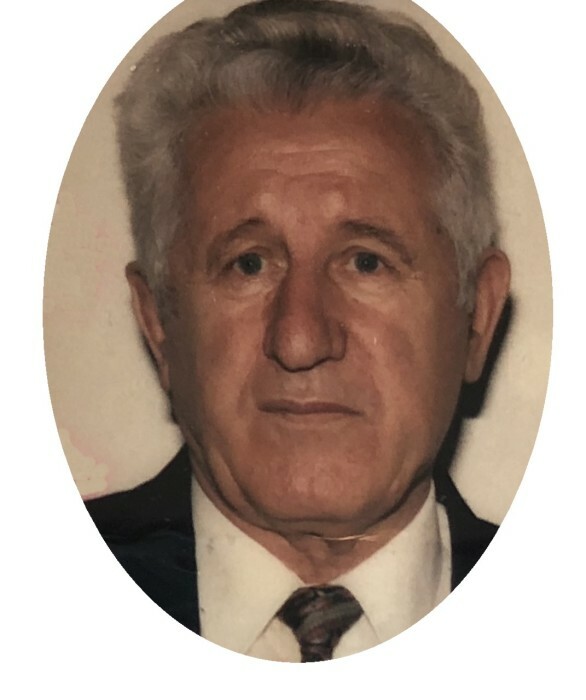 While in New York, Wasyl became a part of the Ukrainian community by being an active parishioner and choir member of The Holy Trinity Ukrainian Catholic Church, and active in the Ukrainian Veteran’s Organization. Predeceased by his wife, Steffi (Sygida), and his sisters Anna, Katerina and Paraska. Survived by his daughters, Orysia and her husband Anthony Juliano, Julia and her husband Walter Rudzinsky, and his loving grandchildren Natalie, Nicholas, Adrianna, Larissa and Vincent. In lieu of flowers, a memorial donation may be made to St. Joseph’s Adult Care Home “Building Fund”, P.O. Box 8, Sloatsburg, NY 10974. Vichnaya pamyat (Everlasting Memory) to our dearest Wasyl.